Contact Manhattan Motorcars today for information on dozens of vehicles like this 2016 Porsche Cayenne . This Porsche includes: EXTERIOR PACKAGE IN HIGH-GLOSS BLACK // FRONT SEAT VENTILATION // BOSE SURROUND SOUND SYSTEM // FRONT SEAT HEATING // WHEEL HUB COVER W/COLORED PORSCHE CREST // PANORAMIC ROOF SYSTEM // PREMIUM PACKAGE // INFOTAINMENT BOSE PACKAGE // LANE CHANGE ASSIST (LCA) *Note - For third party subscriptions or services, please contact the dealer for more information. * This a worry-free vehicle that has passed our certification process. Manhattan Motorcars has a wide selection of exceptional pre-owned vehicles to choose from, including this 2016 Porsche Macan. This Porsche includes: HEATED STEERING WHEEL // BOSE SURROUND SOUND SYSTEM // INFOTAINMENT PACKAGE // LANE CHANGE ASSIST (LCA) // 14-WAY ADJ SEATS // REARVIEW CAMERA // LIGHT COMFORT PACKAGE // WHEEL HUB COVER W/COLORED PORSCHE CREST // MONOCHROME HIGH-GLOSS BLACK EXTERIOR PACKAGE // PREMIUM PACKAGE PLUS *Note - For third party subscriptions or services, please contact the dealer for more information. * This vehicle has surpassed all inspections to achieve Certified Pre-Owned status. Manhattan Motorcars is excited to offer this 2016 Porsche Cayenne. This Porsche includes: FRONT SEAT VENTILATION // FRONT SEAT HEATING // PANORAMIC ROOF SYSTEM // SIRIUSXM SATELLITE RADIO // 14-WAY POWER SEATS W/MEMORY PACKAGE // PREMIUM PACKAGE // LANE CHANGE ASSIST (LCA) *Note - For third party subscriptions or services, please contact the dealer for more information. * This vehicle is Certified Pre-Owned. Thank you for your interest in one of Manhattan Motorcars's online offerings. Please continue for more information regarding this 2016 Porsche Cayenne with 25,213mi. This Porsche includes: FRONT SEAT VENTILATION // BOSE SURROUND SOUND SYSTEM // FRONT SEAT HEATING // WHEEL HUB COVER W/COLORED PORSCHE CREST // STEERING WHEEL HEATING // 14-WAY POWER SEATS W/MEMORY PACKAGE // PREMIUM PACKAGE // INFOTAINMENT BOSE PACKAGE W/HD RADIO // LANE CHANGE ASSIST (LCA) *Note - For third party subscriptions or services, please contact the dealer for more information. * We at Manhattan Motorcars are very meticulous. This hand-selected Certified Pre-Owned vehicle has surpassed our own standards and requirements. Manhattan Motorcars is honored to present a wonderful example of pure vehicle design... this 2016 Porsche Cayenne only has 21,059mi on it and could potentially be the vehicle of your dreams! This Porsche includes: FRONT SEAT VENTILATION // FRONT SEAT HEATING // WHEEL HUB COVER W/COLORED PORSCHE CREST // PANORAMIC ROOF SYSTEM // SIRIUSXM SATELLITE RADIO // STEERING WHEEL HEATING // 14-WAY POWER SEATS W/MEMORY PACKAGE // PREMIUM PACKAGE // LANE CHANGE ASSIST (LCA) *Note - For third party subscriptions or services, please contact the dealer for more information. * We at Manhattan Motorcars are very meticulous. This hand-selected Certified Pre-Owned vehicle has surpassed our own standards and requirements. 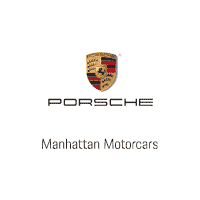 Thank you for visiting another one of Manhattan Motorcars's online listings! Please continue for more information on this 2016 Porsche Cayenne with 14,692mi. This Porsche includes: FRONT SEAT VENTILATION // POWER SUNBLIND FOR REAR SIDE WINDOWS // BOSE SURROUND SOUND SYSTEM // FRONT SEAT HEATING // PANORAMIC ROOF SYSTEM // STEERING WHEEL HEATING // 14-WAY POWER SEATS W/MEMORY PACKAGE // PREMIUM PACKAGE // INFOTAINMENT BOSE PACKAGE // LANE CHANGE ASSIST (LCA) *Note - For third party subscriptions or services, please contact the dealer for more information. * Meticulously inspected -- Worry-free -- Quality assured. All of this comes with a Certified vehicle, like this 2016 Porsche. Manhattan Motorcars is pleased to be currently offering this 2015 Porsche Cayenne S with 23,674mi. This Porsche includes: HEATED FRONT AND REAR SEATS // REVERSING CAMERA // AUTO DIMMING OUTSIDE REAR VIEW MIRRORS // INFOTAINMENT BOSE PACKAGE // BOSE SURROUND SOUND SYSTEM *Note - For third party subscriptions or services, please contact the dealer for more information. * A rigorous inspection for safety and reliability makes this vehicle Certified Pre-Owned. Thank you for visiting another one of Manhattan Motorcars's online listings! Please continue for more information on this 2016 Porsche Cayenne with 16,227mi. This Porsche includes: WHITE // FRONT SEAT VENTILATION // BOSE SURROUND SOUND SYSTEM // FRONT SEAT HEATING // WHEEL HUB COVER W/COLORED PORSCHE CREST // PANORAMIC ROOF SYSTEM // BLACK, PARTIAL LEATHER SEAT TRIM // STEERING WHEEL HEATING // 14-WAY POWER SEATS W/MEMORY PACKAGE // PREMIUM PACKAGE *Note - For third party subscriptions or services, please contact the dealer for more information. * This exceptional 2016 Cayenne has passed the Porsche stringent standards and has been hand-selected to become a Certified Pre-Owned vehicle. The quality of this vehicle will undoubtedly ensure a worry-free buying experience. Manhattan Motorcars is excited to offer this 2016 Porsche Macan S. This Porsche includes: HEATED STEERING WHEEL // ALUMINUM ROOF RAILS // INFOTAINMENT PACKAGE // LANE CHANGE ASSIST (LCA) // 14-WAY ADJ SEATS // REARVIEW CAMERA // PREMIUM PACKAGE PLUS *Note - For third party subscriptions or services, please contact the dealer for more information. * This a worry-free vehicle that has passed our certification process. Thank you for your interest in one of Manhattan Motorcars's online offerings. Please continue for more information regarding this 2016 Porsche Macan S with 19,777mi. This Porsche includes: TRAILER COUPLING // BOSE SURROUND SOUND SYSTEM // INFOTAINMENT PACKAGE // LANE CHANGE ASSIST (LCA) // 14-WAY ADJ SEATS // REARVIEW CAMERA // WHEEL HUB COVER W/COLORED PORSCHE CREST // MONOCHROME HIGH-GLOSS BLACK EXTERIOR PACKAGE // PREMIUM PACKAGE PLUS *Note - For third party subscriptions or services, please contact the dealer for more information. * As a Certified Pre-Owned vehicle, this Porsche Macan S offers you the peace of mind because you know it has been rigorously inspected to meet exacting standards. Manhattan Motorcars is honored to present a wonderful example of pure vehicle design... this 2018 Porsche Macan only has 3,434mi on it and could potentially be the vehicle of your dreams! This Porsche includes: STEERING WHEEL HEATING // WHEEL CENTERS W/FULL-COLOR PORSCHE CREST // BLACK, PARTIAL LEATHER SEAT TRIM W/ALCANTARA // LANE CHANGE ASSIST (LCA) // PANORAMIC ROOF SYSTEM // HEATED FRONT SEATS // BLACK // NAVIGATION MODULE FOR PCM // 8-WAY POWER SEATS // VOICE CONTROL *Note - For third party subscriptions or services, please contact the dealer for more information. * This vehicle has met all the exacting standards to be classified Certified Pre-Owned. Looking for a clean, well-cared for 2018 Porsche Macan? This is it. This Porsche includes: JET BLACK METALLIC // STEERING WHEEL HEATING // BOSE SURROUND SOUND SYSTEM // LANE CHANGE ASSIST (LCA) // PANORAMIC ROOF SYSTEM // HEATED FRONT SEATS // NAVIGATION MODULE FOR PCM // 8-WAY POWER SEATS *Note - For third party subscriptions or services, please contact the dealer for more information. * A rigorous inspection for safety and reliability makes this vehicle Certified Pre-Owned. Check out this gently-used 2018 Porsche Macan we recently got in. This Porsche includes: PREMIUM PACKAGE // STEERING WHEEL HEATING // BOSE SURROUND SOUND SYSTEM // RHODIUM SILVER METALLIC // AUTOMATICALLY DIMMING EXTERIOR MIRRORS (PA1) // CONNECT PLUS // LANE CHANGE ASSIST (LCA) // PANORAMIC ROOF SYSTEM // MONOCHROME HIGH-GLOSS BLACK EXTERIOR PACKAGE // NAVIGATION MODULE FOR PCM // 8-WAY POWER SEATS // BI-XENON LIGHTING SYSTEM W/PDLS *Note - For third party subscriptions or services, please contact the dealer for more information. * This a worry-free vehicle that has passed our certification process. Contact Manhattan Motorcars today for information on dozens of vehicles like this 2016 Porsche Macan S. This Porsche includes: HEATED FRONT SEATS // ALUMINUM ROOF RAILS // PANORAMIC ROOF SYSTEM // INFOTAINMENT PACKAGE // REARVIEW CAMERA // LIGHT COMFORT PACKAGE *Note - For third party subscriptions or services, please contact the dealer for more information. * This vehicle has passed our highest inspection standards and is therefore awarded a Certified status. Manhattan Motorcars has a wide selection of exceptional pre-owned vehicles to choose from, including this 2018 Porsche Macan. This Porsche includes: 14-WAY POWER SEATS // STEERING WHEEL HEATING // BOSE SURROUND SOUND SYSTEM // AUTOMATICALLY DIMMING EXTERIOR MIRRORS // CONNECT PLUS // LANE CHANGE ASSIST (LCA) // PREMIUM PACKAGE PLUS // MONOCHROME HIGH-GLOSS BLACK EXTERIOR PACKAGE // ROOF RAILS IN BLACK // NAVIGATION MODULE FOR PCM // VOICE CONTROL // BI-XENON LIGHTING SYSTEM W/PDLS *Note - For third party subscriptions or services, please contact the dealer for more information. * This is a Certified Pre-owned vehicle, so you can feel rest assured that it has been meticulously inspected from top to bottom. Check out this gently-used 2018 Porsche Macan we recently got in. This Porsche includes: 14-WAY POWER SEATS // NIGHT BLUE METALLIC // STEERING WHEEL HEATING // INTERIOR PACKAGE IN DARK BURR WALNUT // BOSE SURROUND SOUND SYSTEM // WHEEL CENTERS W/FULL-COLOR PORSCHE CREST // AUTOMATICALLY DIMMING EXTERIOR MIRRORS // CONNECT PLUS // LANE CHANGE ASSIST (LCA) // PREMIUM PACKAGE PLUS // ROOF RAILS IN BLACK // NAVIGATION MODULE FOR PCM // AGATE GREY, PARTIAL LEATHER SEAT TRIM // BI-XENON LIGHTING SYSTEM W/PDLS *Note - For third party subscriptions or services, please contact the dealer for more information. * Why own a car when you can own a lifestyle? We at Manhattan Motorcars offer you nothing less than the best with our Certified Pre-Owned vehicles. This vehicle meets Porsche's highest level of standards, allowing us to provide you with what you deserve. Manhattan Motorcars is honored to present a wonderful example of pure vehicle design... this 2018 Porsche Macan only has 8,847mi on it and could potentially be the vehicle of your dreams! This Porsche includes: 14-WAY POWER SEATS // STEERING WHEEL HEATING // BOSE SURROUND SOUND SYSTEM // WHEEL CENTERS W/FULL-COLOR PORSCHE CREST // CONNECT PLUS // LANE CHANGE ASSIST (LCA) // PREMIUM PACKAGE PLUS // VOLCANO GREY METALLIC // ROOF RAILS IN BLACK // NAVIGATION MODULE FOR PCM // BI-XENON LIGHTING SYSTEM W/PDLS *Note - For third party subscriptions or services, please contact the dealer for more information. * This is a Certified Porsche Macan, which means it has been thoroughly inspected against a set of stringent standards. Only vehicles that pass this inspection can be sold as Certified.